CARES (The Medical Center Auxiliary for Recruitment, Education, and Services) is dedicated to serving the patients and their families at the Los Angeles County + University of Southern California Medical Center. A California nonprofit corporation, CARES provides financial support and volunteer services. Its primary mission is to benefit patients by adding comfort to their hospital stay and providing services that help the patients access quality health care. Please watch our video highlighting The CARES Child Care Centers at the LAC+USC Medical Center. 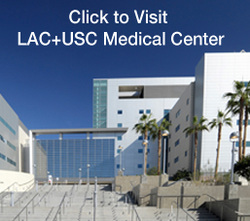 The LAC + USC Medical Center is a major metropolitan hospital. Treatment is available to every member of the community regardless of a patient's ability to pay. The many patients the hospital serves strain all available resources. You, or someone you know, can help support CARES with its mission by donating to CARES today.